Last year I chose a word and did nothing with it. Honestly I kind of forgot about it. This year I was on the fence about doing this project but then thought why not. Hopefully this year it will be easier to stick with since I signed up for Ali’s OLW class at Big Picture Scrapbooking. It’s the first time I’m taking a class through there and I’m super excited! Tonight I made this print to frame. Not sure exactly which room to put it in yet but I love it! I want it to be somewhere where I’ll see it everyday. Once I decide on the room I’ll print it in a coordinating color. 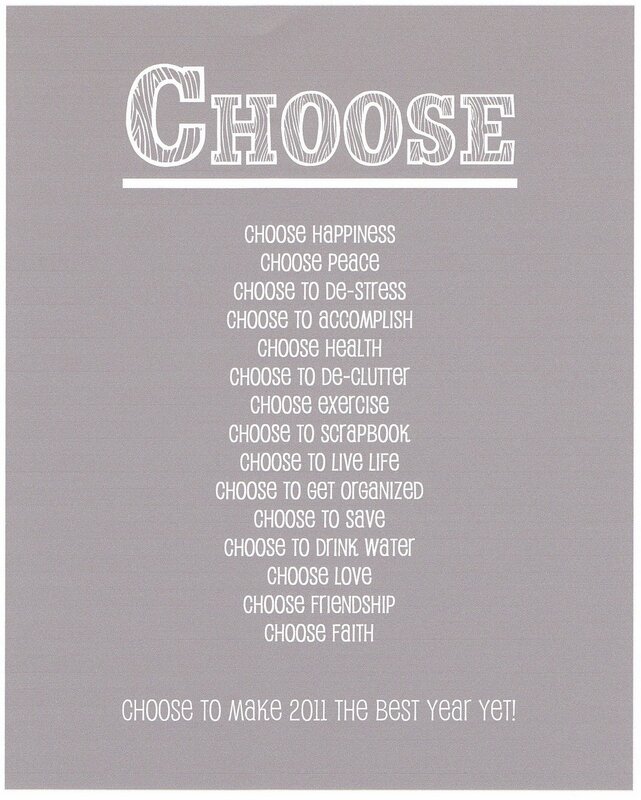 As you can see my word for 2011 is Choose. The class by Ali is so inspiring and so far (I know it’s only January) I am really enjoying it! If you are on the fence I suggest just do it! It ‘s really not as big of a commitment as I thought it was going to be. And MUCH less overwhelming than I thought.